A standing seam roof, or standing rib roof, has a definable seam that extends vertically from the panel's flat surface. This seam helps provide additional rigidity and support making it a favorite of both residential and commercial applications. Most standing seam roofing options come with hidden or concealed fasteners. These terms refer to the clips, screws, or nails being hidden from view on the installed roof. A key benefit of hidden fasteners over exposed fasteners is that the hidden fastener is not puncturing the panel itself, nor is exposed to weather. This usually translates to a higher level of protection from the elements, less maintenance to check for worn or loose fasteners, and a more appealing look. At Bridger Steel we offer 3 primary standing seam options, each with slight variations depending on the application. The Mechanically Locking Series is among our most structural and toughest panel. While the 2" Mechanical Lock Roofing Panel is a wonderful choice for bold designs, the 1" Mechanical Lock Panel provides a equally appealing option for residential metal roofs. The Tru Snap Series offers an alternative to the mechanically seamed panel, and is often chosen for residential and commercial applications alike. For an easy installation process that still provides the protection and long appealing lines of a standing seam roof, we have our Nail Strip line. A roofing panel that allows for a hidden row of fasteners to be installed between each panel as it is installed. This process makes this panel style among our best choices for DIY installation. 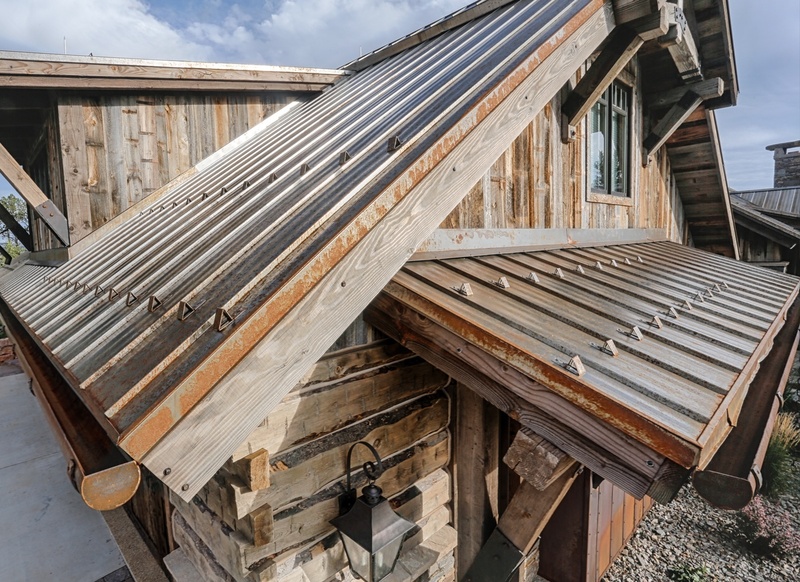 An increasingly used trend in mountain and modern applications alike, the weathering steel standing seam stands out with a long, beautiful patina. The natural patina process is a favorite among roofing options for residential homes and accent roofs. Our newest standing seam panel is mechanically seamed for superior protection. With a 3" rib, this panel is ideal for industrial, commerical, and large scale applications. As one the toughest Standing Seam panels, the 2" Mechanical Lock provides outstanding protection to your building while creating bold lines. Our 1.5" Mechanical Lock is popular for commericial and agricultural buildings because of its durability and architectural appeal. With a lower rib height than our other Mechanical Lock panels, the 1" panel has smoother sight lines, making this a popular choice for standing seam roofs. As the toughest panel in the Tru Snap series, the 1.75" makes for a great roofing system on commercial and agricultural buildings. Our 1.5" Tru Snap panel is popular with residential homes because of its clean lines, subtle rib heights, and protection against wind, snow, and hail. Our Tru Snap panels feature a concealed fastener system that will keep your roof protected. The 1" panel features the lowest rib height for a elegant look. Our Nail Strip roofing has become popular because of its low maintaince and eye catching seams. This panel will add long, clean lines to your home or office. Known for it's durable protection, with an easy installation process, the Nail Strip is a very popular choice for residential applications.